In the early 1960s, the University of Bombay had its only campus in Fort, downtown Bombay, dominated by Rajabai Tower over its library building. The ground floor of this building had about 40 research tables, which were allotted to senior academics and research scholars. Having registered for a PhD degree, and living in this area, I had a table for myself where you can call for books and keep them there for reference. One of the others who had a table there was Srinivas Havanur, a serious researcher. I strayed into writing a book on a subject unrelated to my research and ended up with ‘Corruption – Control of Maladministration’, while others earned a ‘Dr.’ as a prefix to their names. Thus, Havanur became a front-ranking scholar and I a mere pen pusher. Recently, I ran into Havanur in the library of the Karnataka Theological College on Balmatta Hill, and renewed the memories of old table-holders – not friends. He has come a long way and is now considered a respected and versatile scholar in Kannada. But we should start at the beginning. Havanur, was born on January 12, 1928 in the place his surname is derived from - in Havery, which is now a district. His early education was in his native place and Dharwad. He did his post-graduation in Pune and Bombay, earning his PhD on the thesis of ‘Beginning of Modern Kannada Literature’. He had also done a diploma in library science when the course was first introduced in Bombay University. Initially working as a sales tax inspector, auditor and radio artist (conducting programmes in Kannada), Havanur got into the librarian’s profession, first working in Karnataka University, Dharwad, then at the Tata Institute of Fundamental Research, Bombay (now Mumbai) – for 21 years from 1969-1989, leaving the institution as Librarian. He has been professor of Kannada and head of department in Mangalore and Bombay Universities between 1982 and 1989. For some years, he had been honorary researcher in the Karnataka Theological College, Mangalore. He used to reside in a large suite in the college campus and visit Bangalore, where he has his permanent residence and family, about once a month. Dr. Havanur has specialized in the British period in Karnataka history, Haridasa literature in Kannada, Christian literature in Kannada, Kannada journalism and computer application in Indian studies. He is perhaps the first, 30 years ago, to use computers for Kannada scholarship. Among his authorships can be noted: Beginning of Modern Kannada Literature, Govind Pai Vangemaya Darshana, Avirvaahiti (Social Study), Karnataka Itihasa, Olanotagalu and Reverend Dr. F. Kittel (which has been translated into German). Havanur’s full length biography and work in Kannada was sponsored by the Central Sahitya Academy and is translated into other Indian languages. Dr. Havanur has participated in several national and international seminars and has presented scholarly papers, one of them being at the International Seminar on Dr. Ferdinand Kittel, the famous author of the English-Kannada dictionary, in Germany in 2003, where he presented a paper on Kittel’s contribution to Indian philosophy and Dravidian Philosophy. Seminars and paper presentations have taken Dr. Havanur very far and many times over, including to England, the U.S.A, Switzerland, France and Germany, specially to present papers on Computer vs Indian subjects, and for studies in British Library, London. 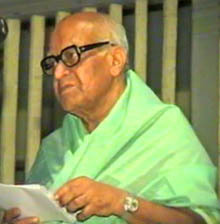 Dr. Havanur’s scholarly work has been recognised through prestigious awards, including Rajyothsava Prashasti by the Government of Karnataka for Academic Achievement (1991), honored by Karnataka Literary Academy as a Senior Writer in Kannada, and he has presided over the 13th session of the Karnataka Itihasa Academy. For all his achievements, Dr. Havanur was an unassuming, humble and approachable person. He said that academic research work kept him going and recalled that one of his felicitators called him ‘Karyananda Swami’. I think those who know him will endorse this title.